Is there a way to share a finished HTML presentation after compiling? 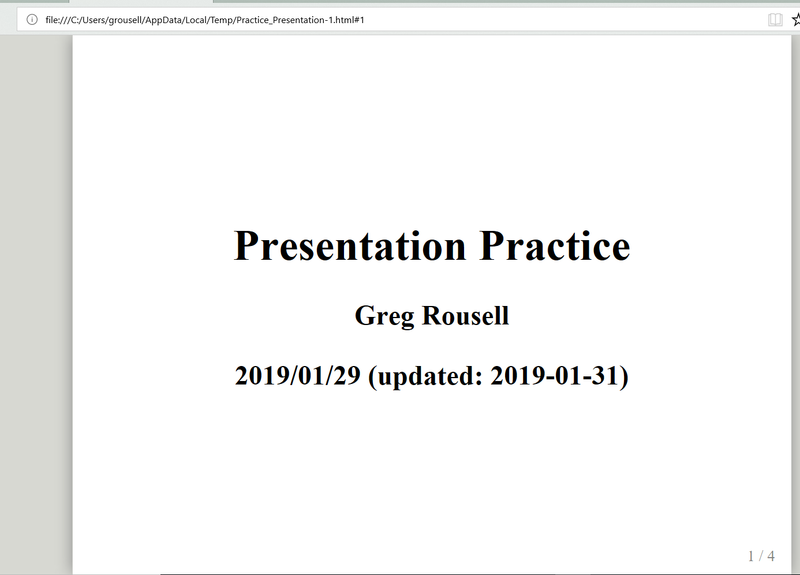 I'm creating my own presentation template to be consistent with my organization's visual identity, however when I share the html file all of the images are stripped. date: "2019/01/29 (updated: `r Sys.Date()`)"
Can you say more about what you were expecting? So when you say "share" you mean you are sending the file as an attachment, rather than sharing a link. You may wish to print to PDF if you want to share as an attachment.